Disinheriting Your Family: Is It Possible in Florida? The answer to this question depends on a variety of factors. Regardless of your reasoning, Florida allows you to have control over what you want to do with your money…some of the time. If you are thinking about disinheriting a member of your family in your will, it’s best to get the help from an estate planning lawyer to find out what is legal and what isn’t. You don’t have any obligation to leave your assets and wealth to your adult children. However, you must write so in your will or trust. If you die without either of those documents, Florida law gives surviving rights to your family. This means your estate will automatically pass onto your surviving spouse and children, both adopted and natural. If you have other children after you have written your will and did not update it before your death, the law will not just assume you want to keep them out of your estate. Instead, that child will get a cut of the wealth even if you wished to keep them out of it. That is why clarity and specificity in your will is key. While you can disinherit adult children, it is illegal in Florida to completely disinherit a minor. The state’s homestead laws ensure that a minor child will not be left homeless in the event of your untimely death by disallowing you to leave your residence to someone other than your minor child or surviving spouse. It is also impossible to completely disinherit a spouse under Florida law. If you die without specifying distribution to your spouse, the courts step in to give your surviving spouse at least a 30% share of your estate. Estate share laws also ensure that if you die without a will or trust, then your surviving spouse gets anywhere from 50% to 100% of your estate. The ultimate percentage depends on whether you have children. If you are determined to leave your spouse out of inheriting any of your estate, it must be stipulated in a pre or postnuptial agreement releasing spousal rights. Your spouse or children can contest a will in Florida if they are unhappy, even if their name is not included in it. It’s possible they find a lawyer who can contest that the omission was a mistake. If you want to ensure your intentions are interpreted correctly, it’s best to write out who you are specifically disinheriting. It might be best to speak with your children about your reasoning before writing out their disinheritance. Depending on your fears or concerns, there are other ways to regulate your beneficiaries without leaving them out of your estate completely. One common misconception is keeping a child with special needs out your will so they will continue receiving government benefits, but you are able to set up a Special Needs Trust to keep them protected. 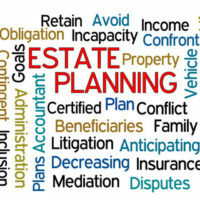 Before updating your will, speak to an experienced estate planning lawyer to figure out your best options. The attorneys at Legacy Protection Lawyers, LLP work closely with clients to create the estates that most accurately reflect your wishes. Call our St. Petersburg offices at 727-471-5868 or contact us online to schedule a consultation today.